This is a time lag set of photos. The first was taken on April 9, 2014 at 11:04 PM. 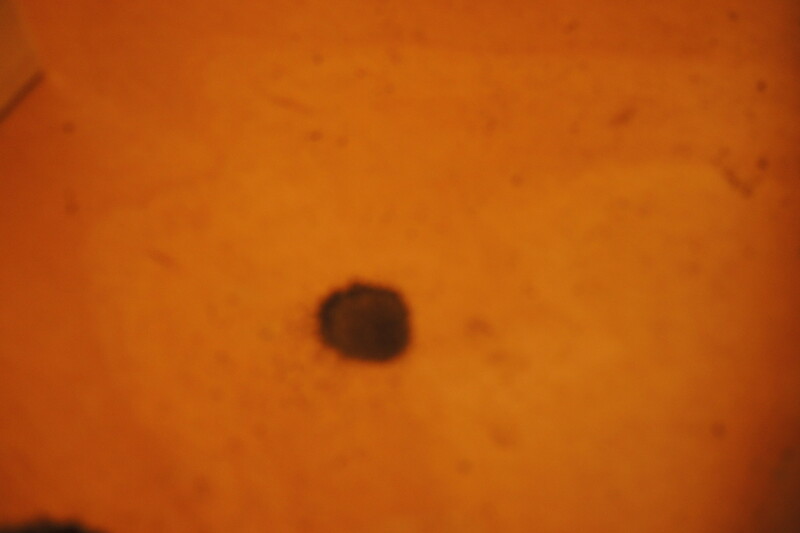 The second photo taken on April 30, 2014 at 3:26 PM. The "Take it!" first came at discovering this section of a dead tree branch that had fallen into my yard from one of the large maple trees that are in the front of the house. What caught my attention was the almost rosette formation of mold on this section of the branch. I thought it might be a nice item to find a place for inside the house as something that would be an unusual display of nature. I had placed the branch on top of a chest of drawers that is in my home office as a place for it to be while I found a place to put it. This seems to be where I put many things that are in this kind of interim state. I had decided to take the branch down to my basement where I have some wood working tools, ( saws, sanders, etc ) to give this item a smooth cut surface upon which to stand it up on its end for a space saving in display. I must say I was horrified to see the little pile of termite droppings on the surface of the chest of drawers letting me know I had a very unwelcome visitor that had gotten a free ride into the warmth of my house. I was torn about weather or not to toss this item out when it occurred to me to try to rid the host of its creature by giving it some time in my microwave. Yep, about 7 minutes did the trick. I kept a close watch on this procedure as did not want the wood to catch fire, just rid the collectable of the unwanted critter. The branch is back up on the top of the chest of drawers as it has gone through quite a trauma and lucky for it and me - was able to keep the rosette formation well enough for me to put it on display after it has had a little more time to calm down - lol. This entire procedure is not one that I would recommend for anyone else. I think I was just lucky that it turned out ok.
That stuff on the branch almost looks edible lol. Its great that you found that pile of dust before too long. That could have been disastrous. The inside of that wood is just filled with exploded termites lol. Oh man that was a close call. My parents had to have their house fumigated a few years back because termites got out of control. Did you hear any popping in the microwave? Were you a detective once, or an exterminator? Hi MHampy: Never a formal detective, however was in sales, where finding out the customer's actual needs, seemed like it was an investigation, all to be done in a collaborative manner with the client. It was fun. I think we are all amature exterminators at one time or another with pests that creep into our dwellings or other place or item where they are not wanted. Then it is research on how to get rid of them. 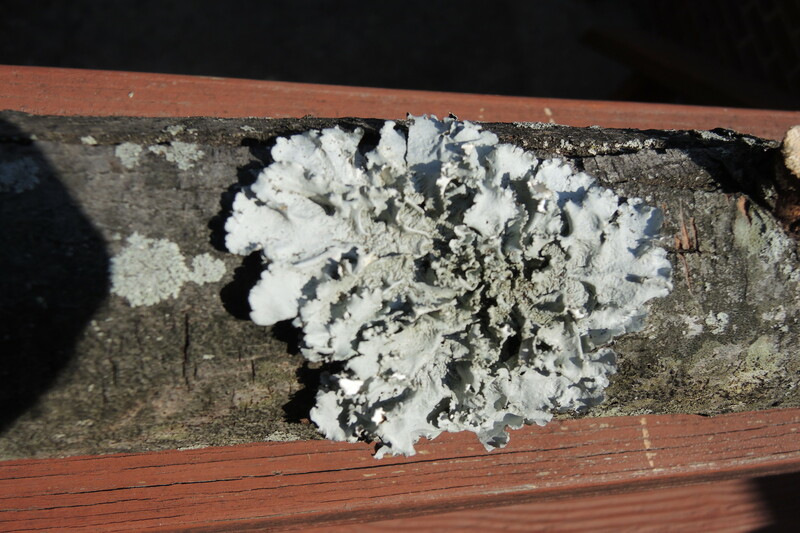 Yuppie: Could it be lichen ? Terri: Garnish for a buffet for Beavers - lol.